Homologie Percent identity by BLAST analysis: Human (100%) Bovine (84%). 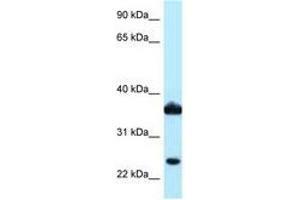 Immunogen Synthetic peptide located between aa97-146 of human AKR1C3 (P42330, NP_003730). Percent identity by BLAST analysis: Human, Chimpanzee, Gorilla, Orangutan, Monkey (100%), Gibbon, Pig (92%), Bovine, Guinea pig (84%).